Is it Time for a Gift-Giving Overhaul? https://kerririchardson.com/wp-content/uploads/2018/11/pottery.jpg 853 1280 Brooke https://kerririchardson.com/wp-content/uploads/2018/04/KRlogo-rev.jpg Brooke2018-11-29 02:00:592018-11-28 00:18:59Is it Time for a Gift-Giving Overhaul? Are You Keeping Too Many Doors Open? https://kerririchardson.com/wp-content/uploads/2018/10/nathan-wright-670264-unsplash.jpg 664 1000 Kerri https://kerririchardson.com/wp-content/uploads/2018/04/KRlogo-rev.jpg Kerri2018-10-24 12:56:032018-10-24 17:18:38Are You Keeping Too Many Doors Open? Are You Ignoring the Signals? I have a confession to make: I am addicted to sugar. Like, big time. Psychologically. Physically. Emotionally. https://kerririchardson.com/wp-content/uploads/2018/10/chinh-le-duc-306667-unsplash-e1539305474533.jpg 667 1001 Kerri https://kerririchardson.com/wp-content/uploads/2018/04/KRlogo-rev.jpg Kerri2018-10-11 20:54:102018-10-12 12:37:33Are You Ignoring the Signals? 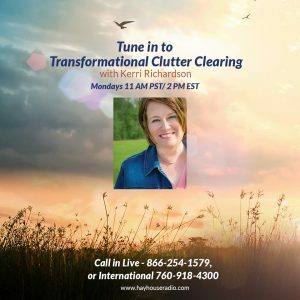 Your clutter hotspots reveal a lot about what’s working in your life and what isn’t. 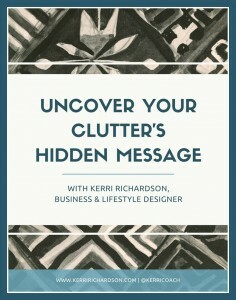 Download my free workbook, “Uncover Your Clutter’s Hidden Message” to learn what your clutter says about you. *By entering your name and email address, you’ll receive my weekly newsletter and be among the first to know of workshops, events, and new offerings. 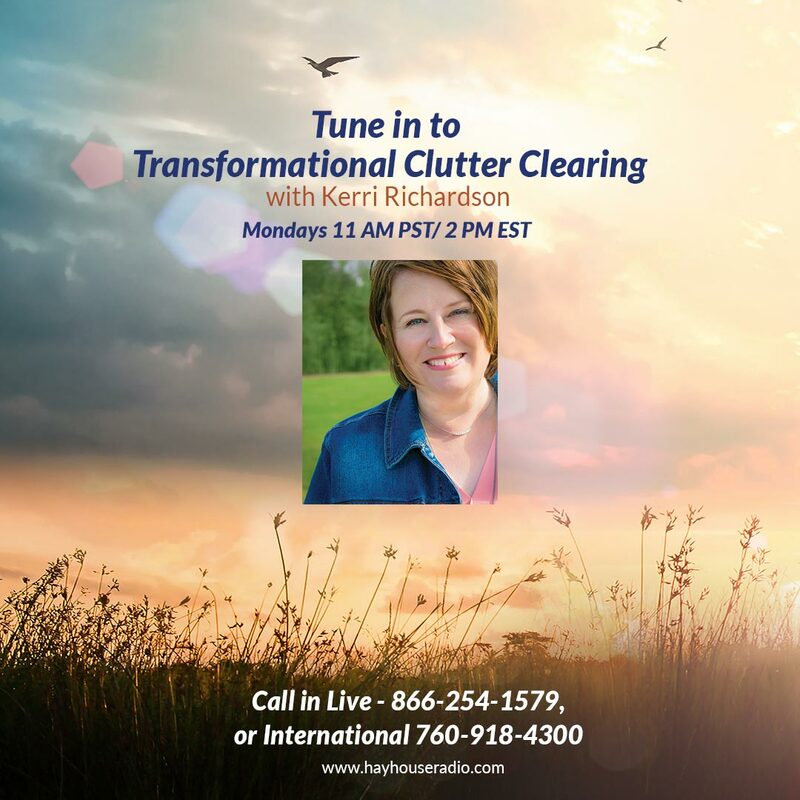 Hay House Radio every Monday!